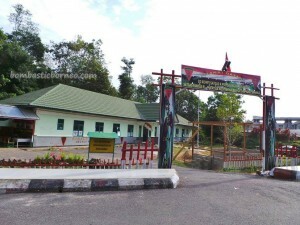 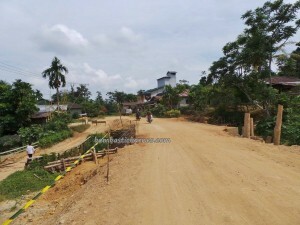 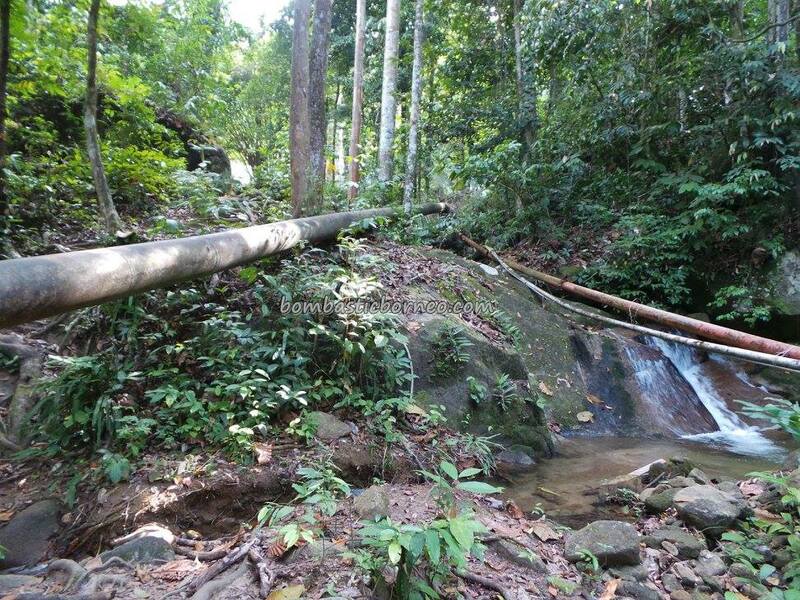 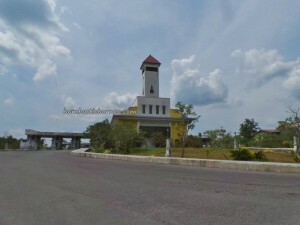 Location : Riam Berasap, Dusun Sajingan, Desa Kaliau’ & Dusun Batu Hitam, Desa Sanatab, Kecamatan Sajingan Besar, Kabupaten Sambas, Kalimantan Barat, Indonesia. 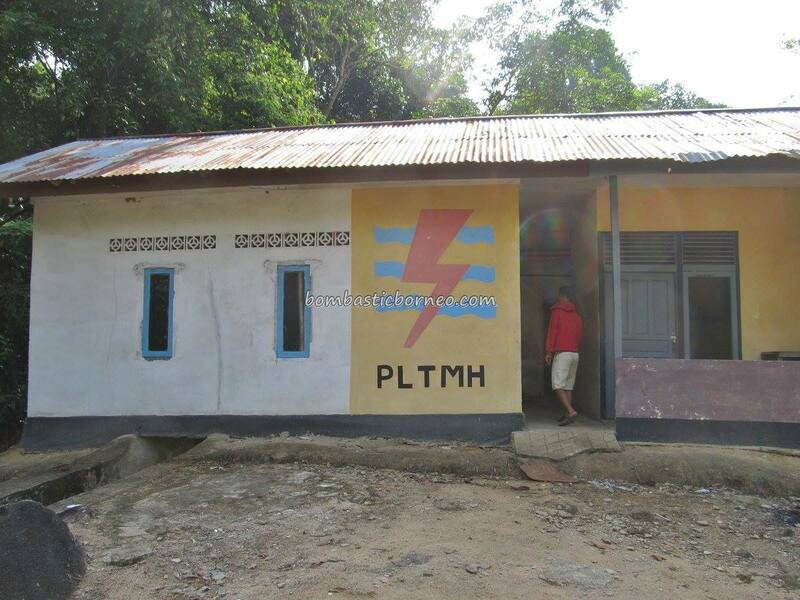 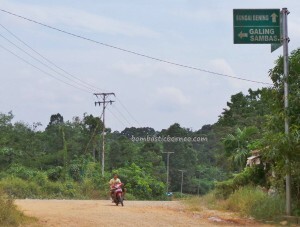 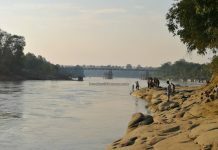 Do not be confused with Riam Merasap which is in Sanggau Ledo, Kalimantan Barat. 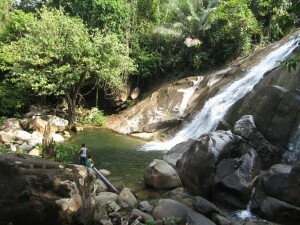 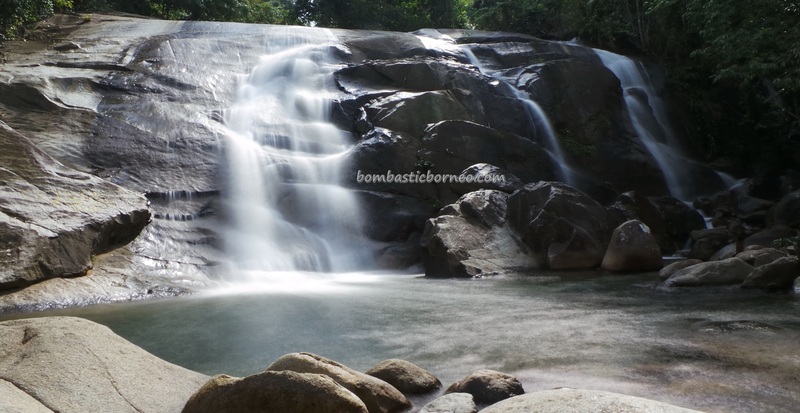 Riam Berasap, the cousin of Jangkar Waterfall lies on the opposite or the Indonesian side of Mount Berumput (or Gunung Poe as it is known in Indonesia) in Lundu. 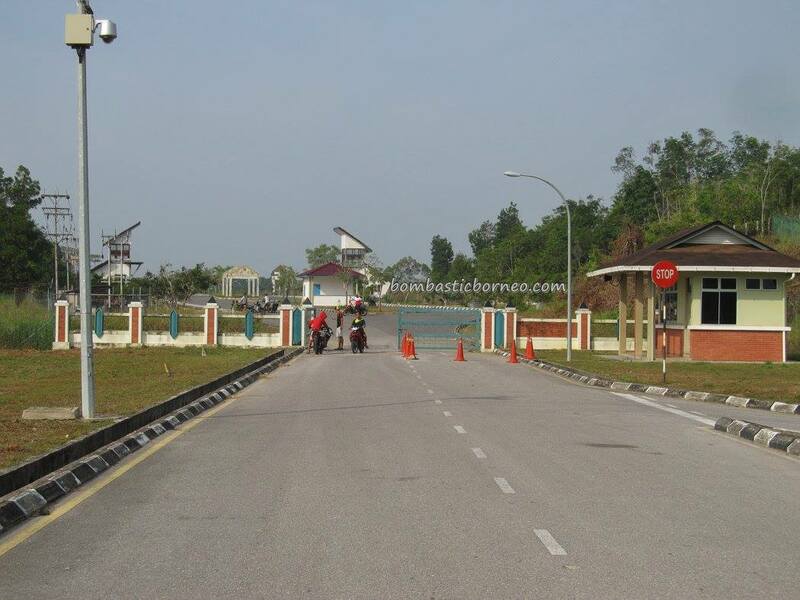 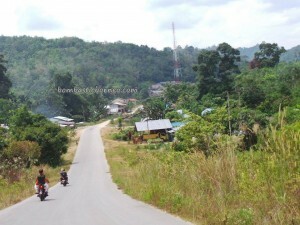 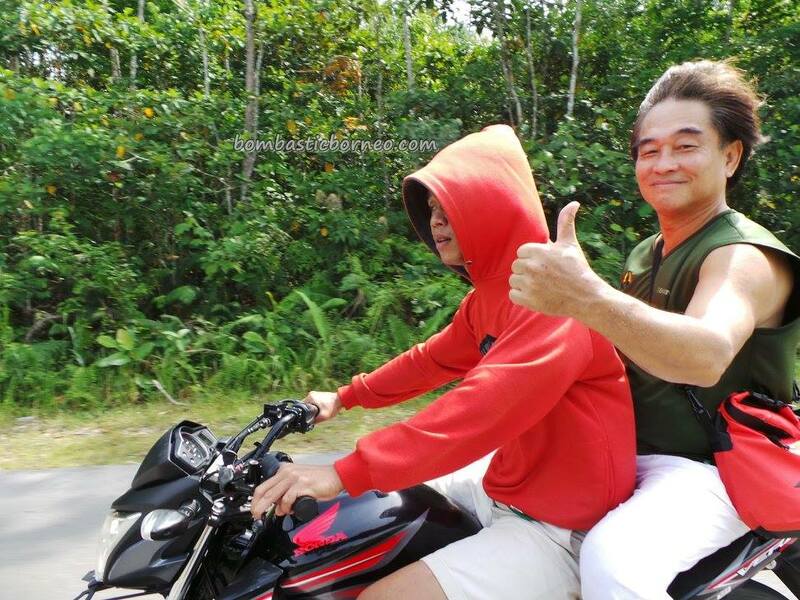 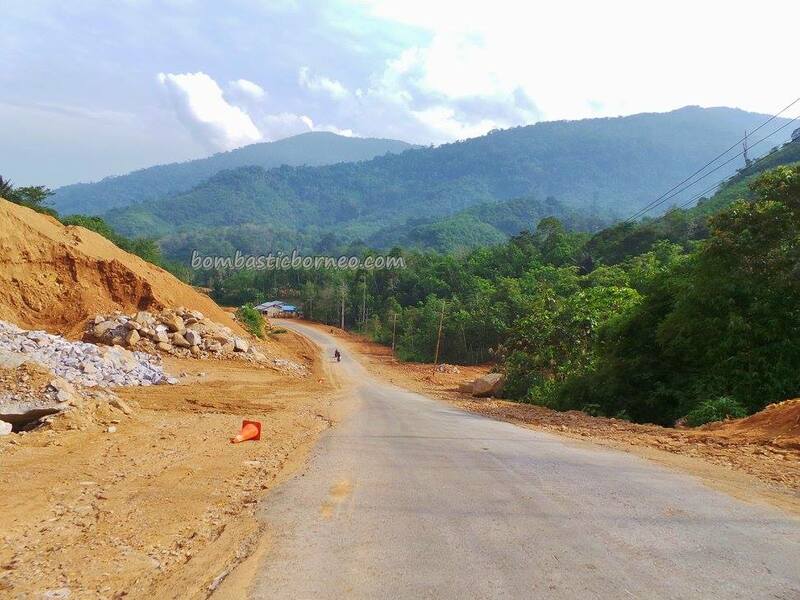 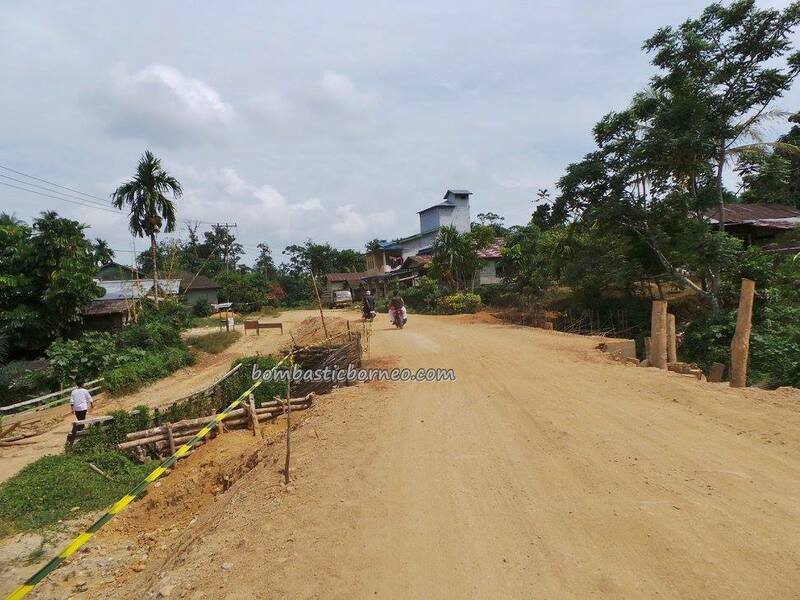 Now that the 11km road to Biawak is completely tar sealed, the drive to the border town of Biawak is very comfortable. 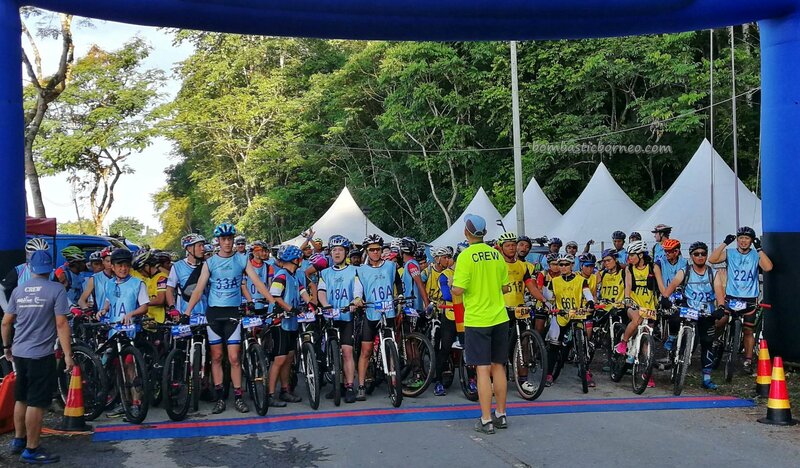 The CIQS on the Sarawak side is more than complete to serve the Indonesians coming through this entry point but sadly, we cannot say the same for our Aruk counterpart on the Indonesian side. 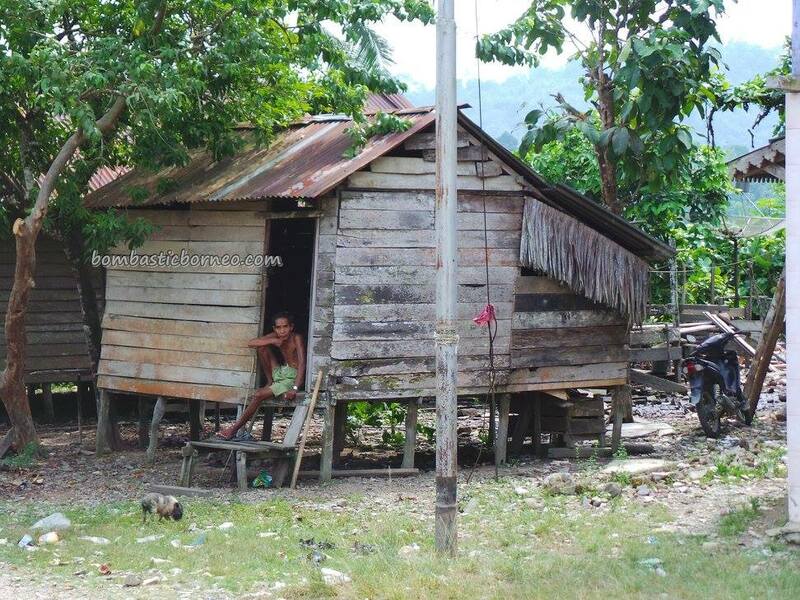 On their side, there is just a solo immigration guy manning it. 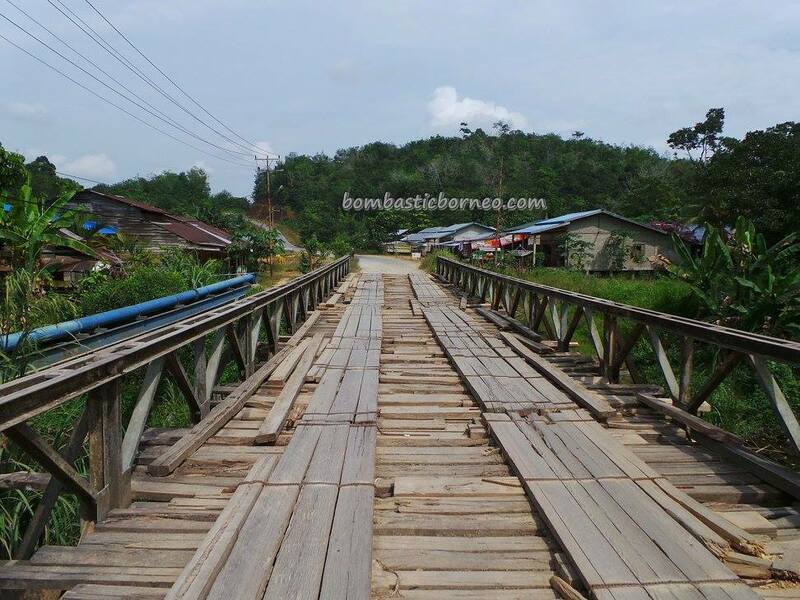 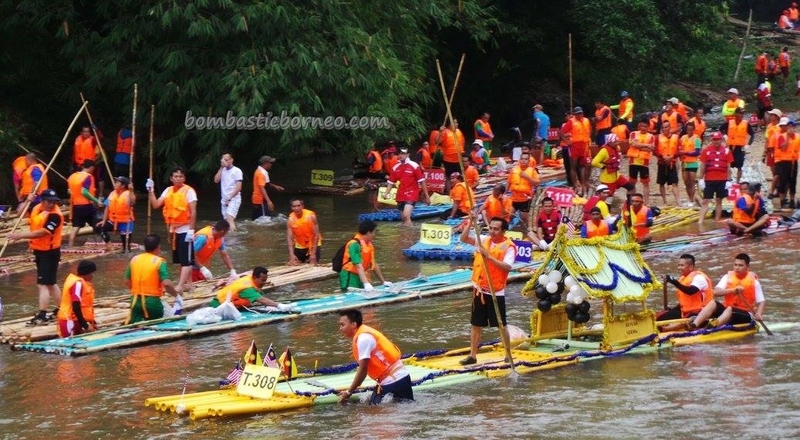 Unlike the Sarawak side, they still cannot process insurance to cover your vehicle crossing over. 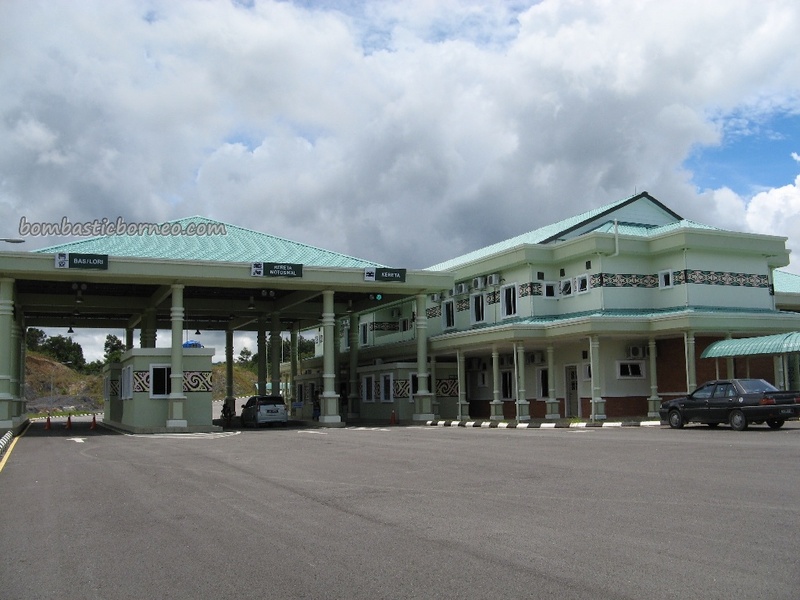 However, one can still have it issued at the Tebedu/Entikong CIQS before bringing it along to Aruk but that would be too much hassle unless you are heading towards Sambas and Singkawang only. 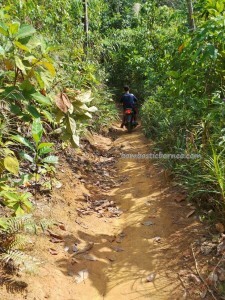 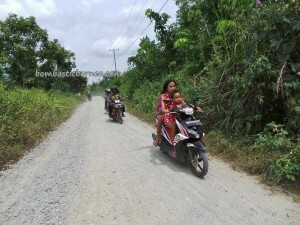 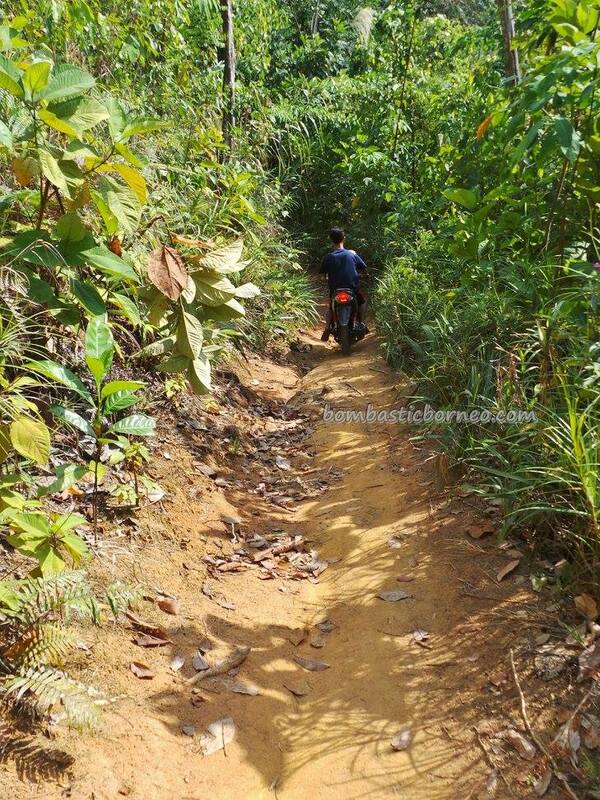 Damri buses do ply this mostly gravel road between Aruk and Sambas at about RM70 each way. 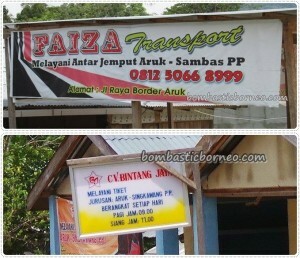 Private vans’ fare depends on the number of passengers. 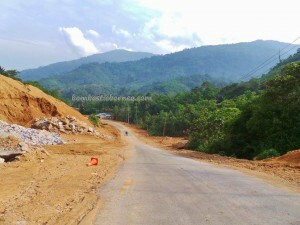 Travel time is about 3hrs. 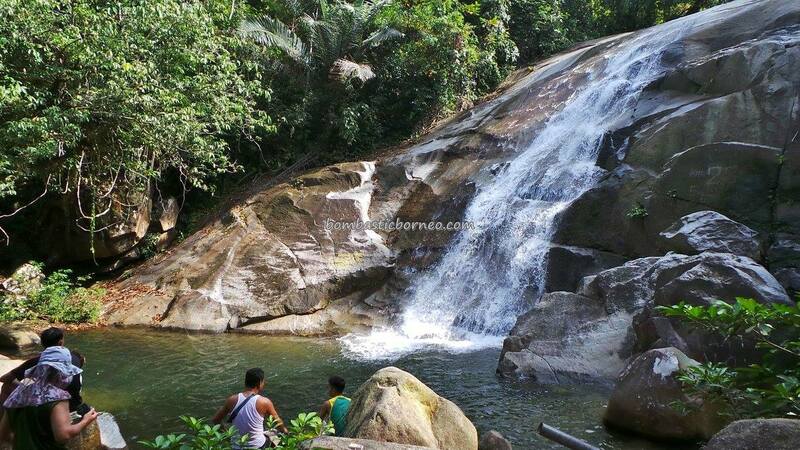 Anyway, if you are only interested in hanging around Sajingan and visit the waterfall you may engage an ojek at Aruk for not more than RM30 and another RM3 for the entrance fee. 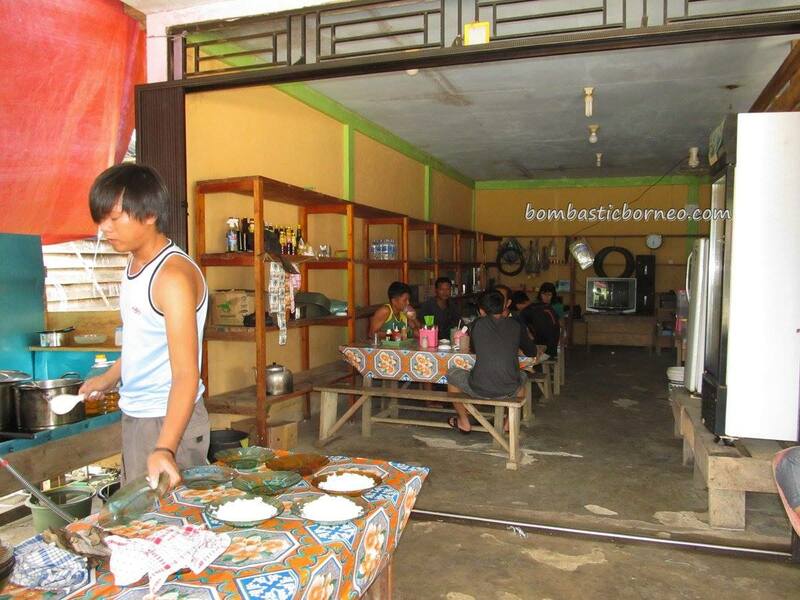 Roadside food is available here but not fantastic. 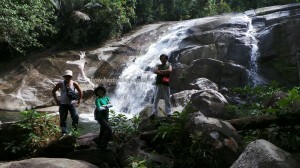 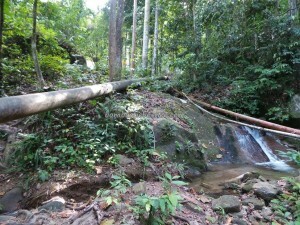 The bike ride along the tar road to Sajingan is less than 15min and the hike up to the fall is less than an hour. 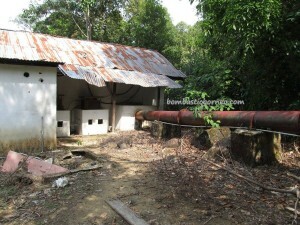 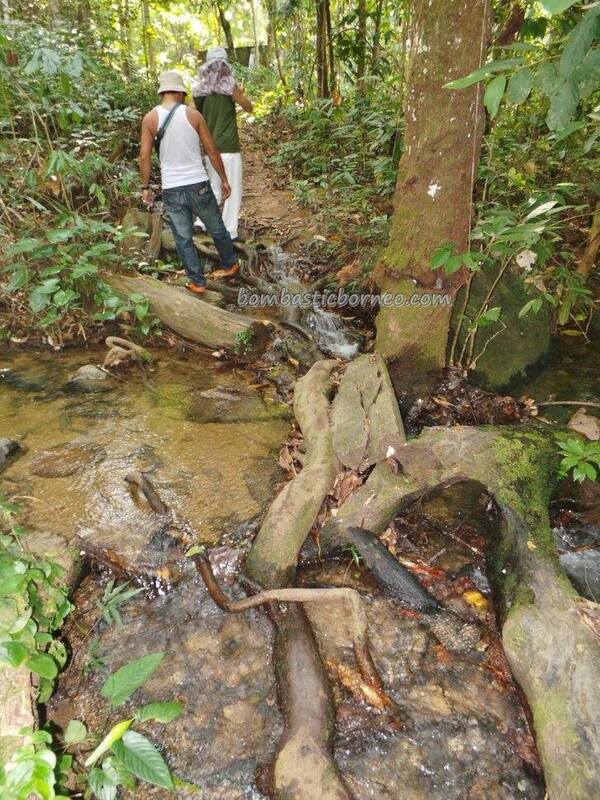 However, our ojeks took us right up the minihydro turbine room before walking 15min to Berasap fall. 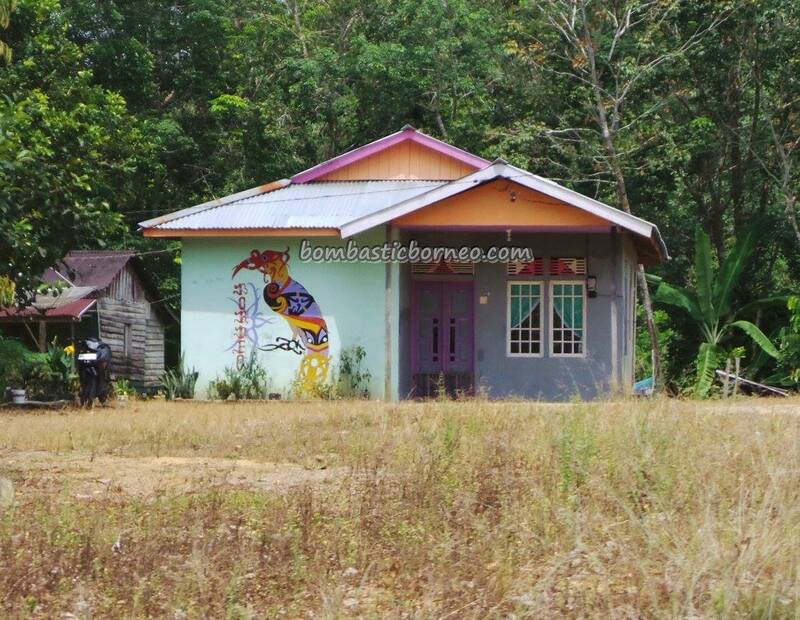 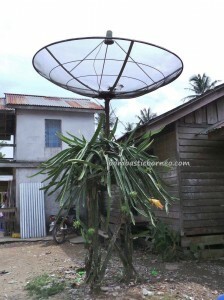 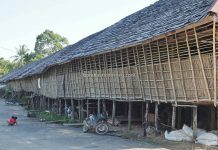 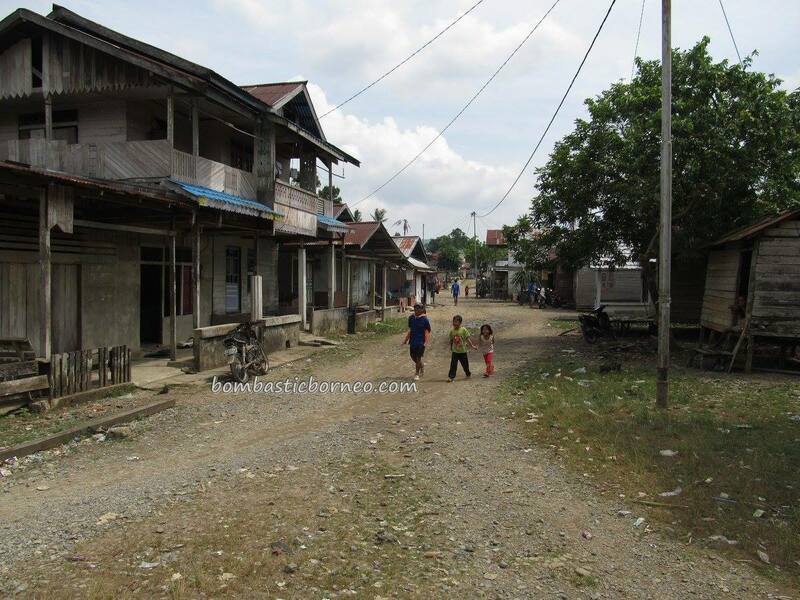 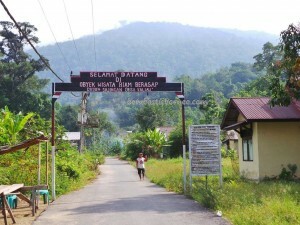 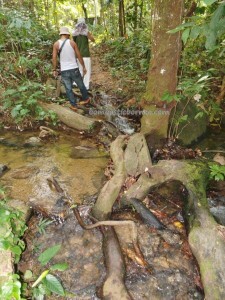 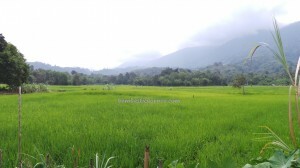 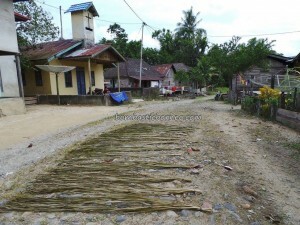 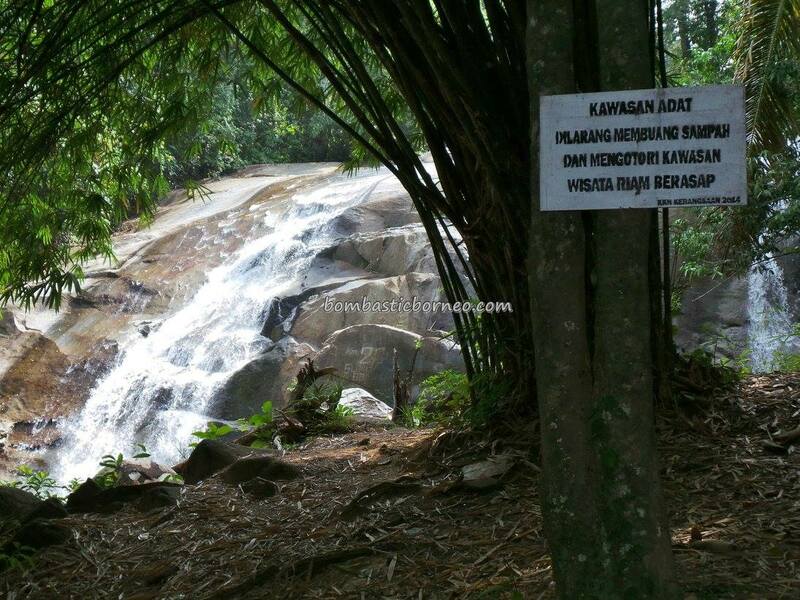 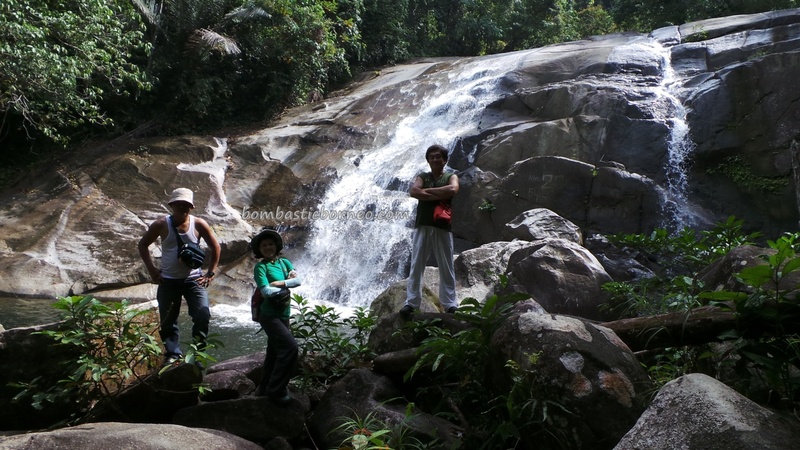 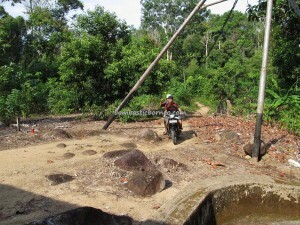 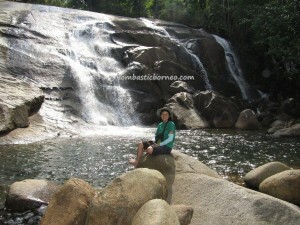 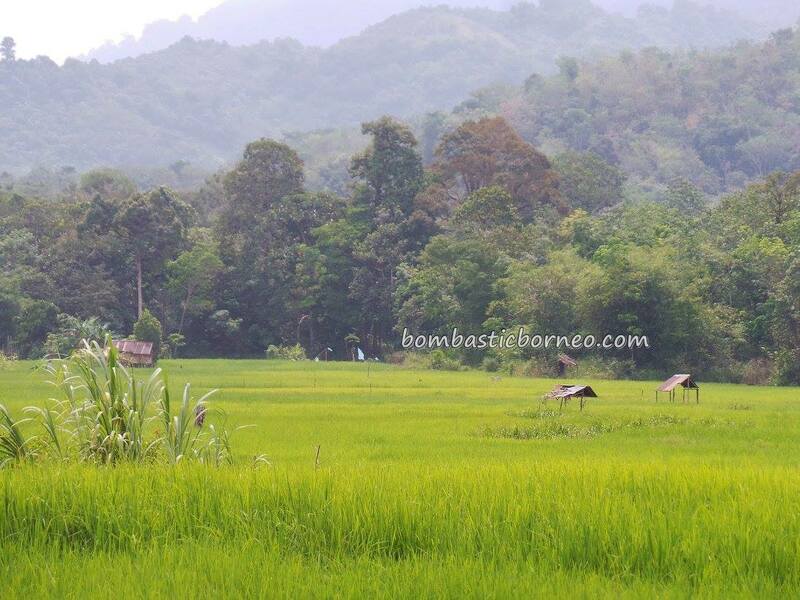 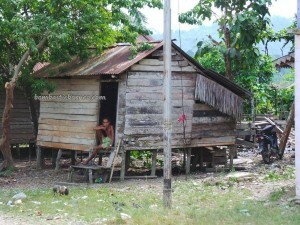 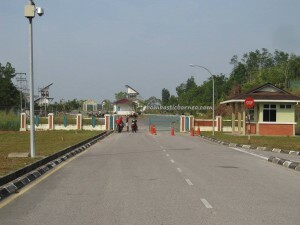 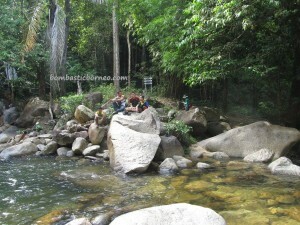 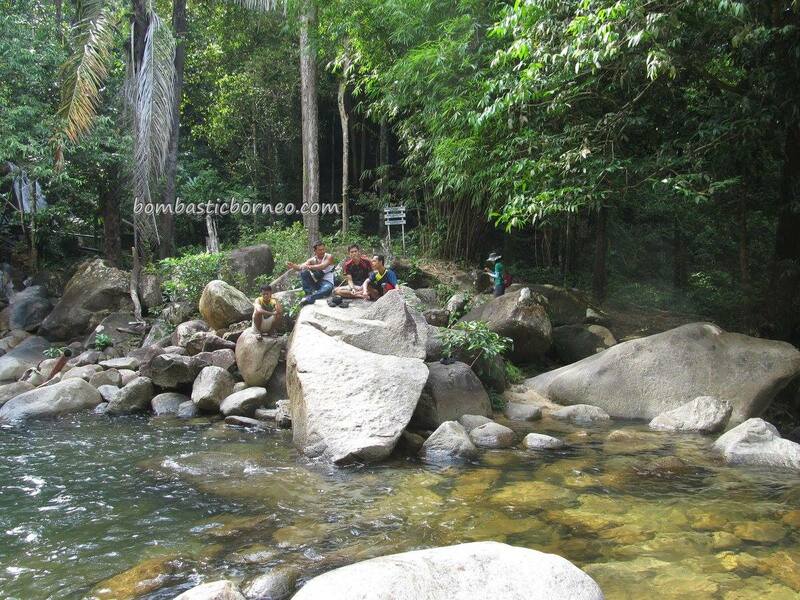 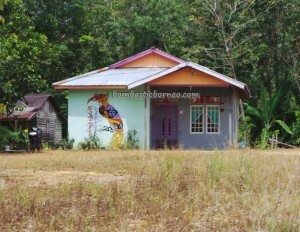 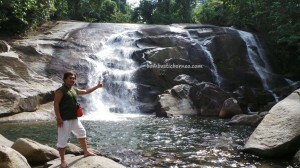 Our package for that day included visiting the village of Batu Hitam. 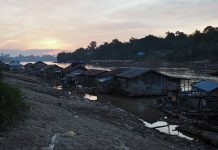 There are many villagers from this village who work as fishermen in Kuching and we heard so many tall tales from them which made us quite excited. 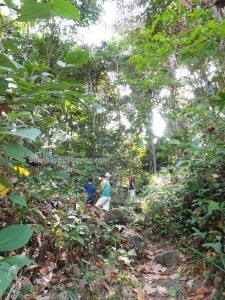 But when we arrived here it was quite disappointing. 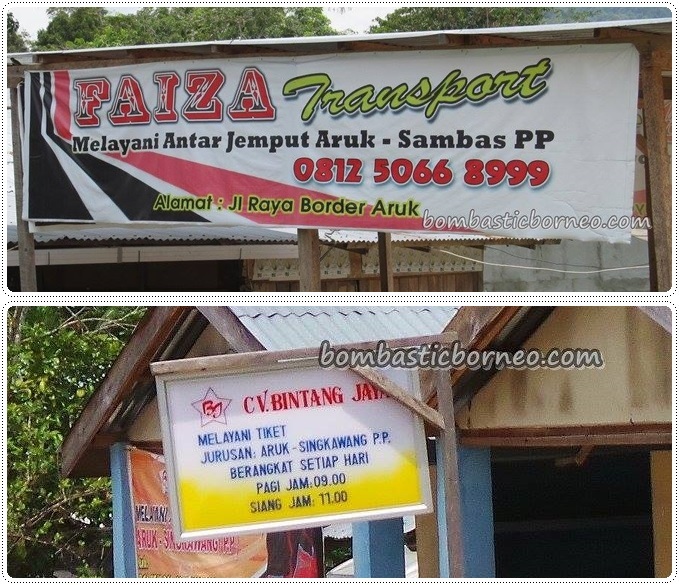 Well, congratulations, we got tricked again! 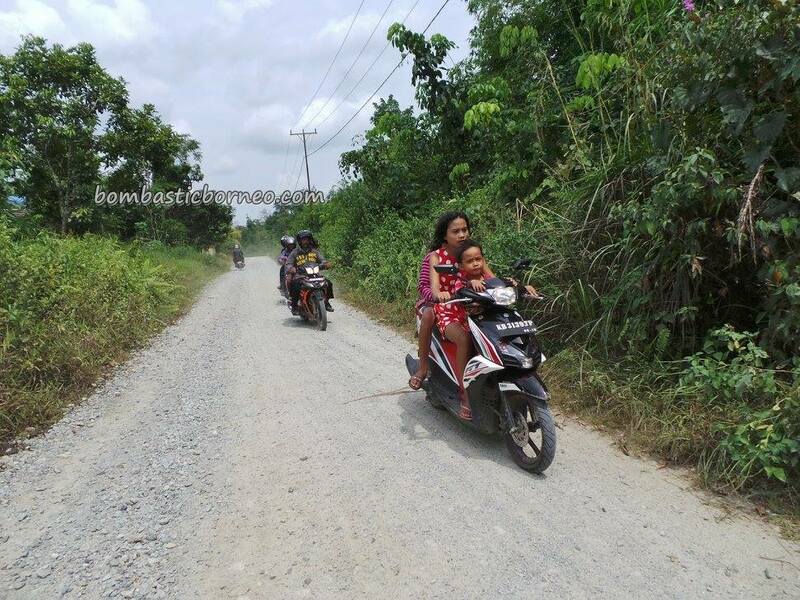 Gullible as always. 3 ojeks waiting for us at the border.